*This post is sponsored by The Home Depot. Well hello there brushless beauties perched on my new trampoline steps you just made possible. This is the Ridgid GEN5X brushless 18-Volt drill/driver and 3-speed impact driver combo kit with enough power to tackle any jobsite task. 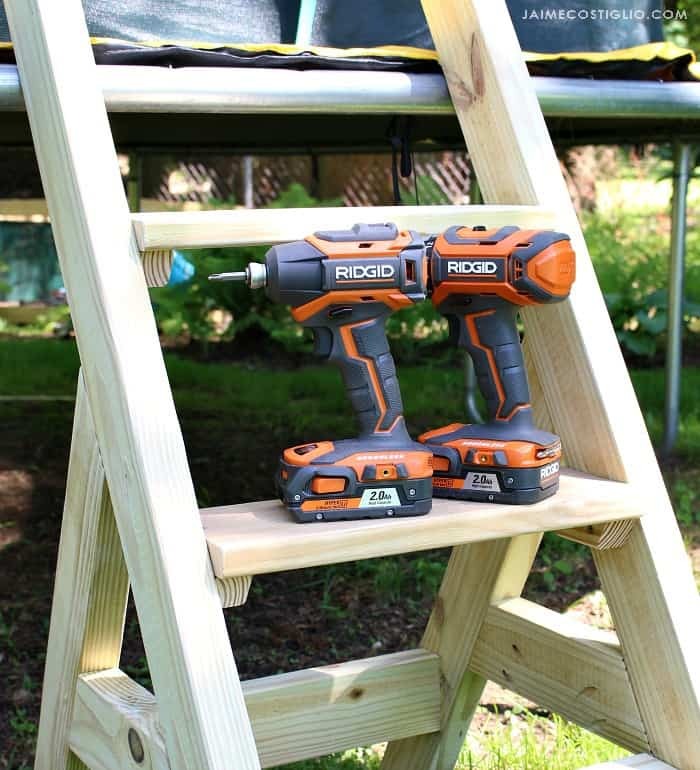 I just whipped up these 2×4 steps for my kids to get on and off the trampoline and I used both the Ridgid drill and driver to get the job done. 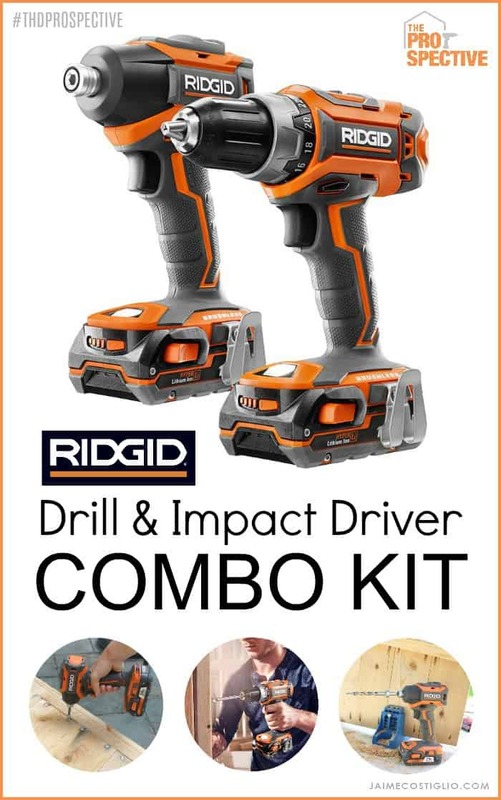 The newest Ridgid drill and impact driver combo kit now in brushless. A hard working pair that can withstand daily abuse. Powerful, durable and professional the impact driver packs quite a punch leading the industry with 2,250 in. lbs. of torque. 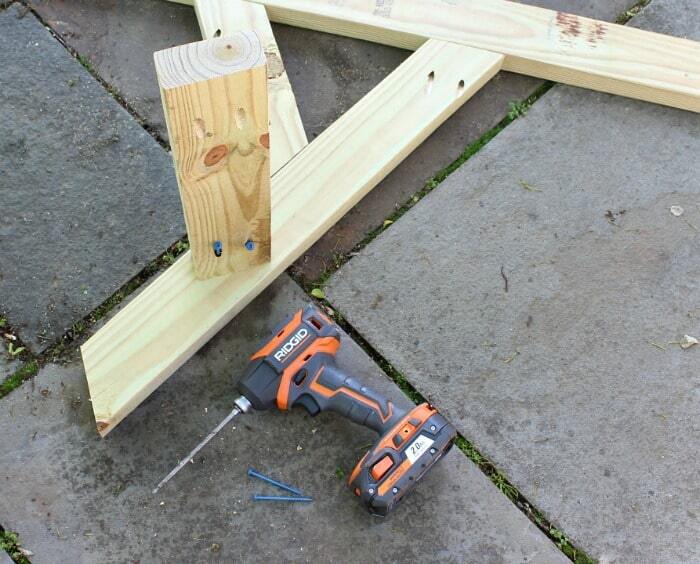 That made driving pocket hole screws into pressure treated 2×4’s a cinch! Having both a drill and impact driver saves tons of time and frustration not having to switch out bits. I recently resized a few outdoor planters and used the drill to make the countersink hole and the driver to install the screws. It’s a one – two combination that makes work flow so much smoother and faster. 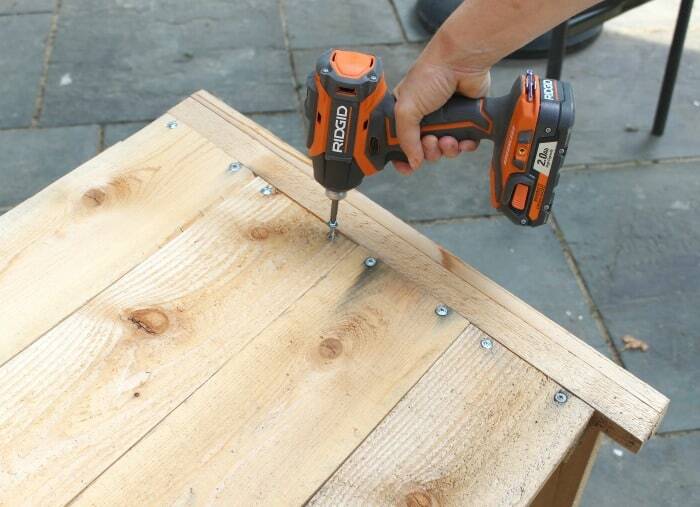 Having the combo kit in your toolbox means you will always have the right drill set up for your intended purposes. 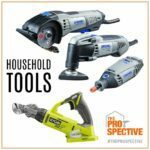 Set yourself up for success in production by working with the drill and driver simultaneously to get more work done in less time. The drill has 2-speed settings for matching power to the task and all metal gears for extended jobsite durability. 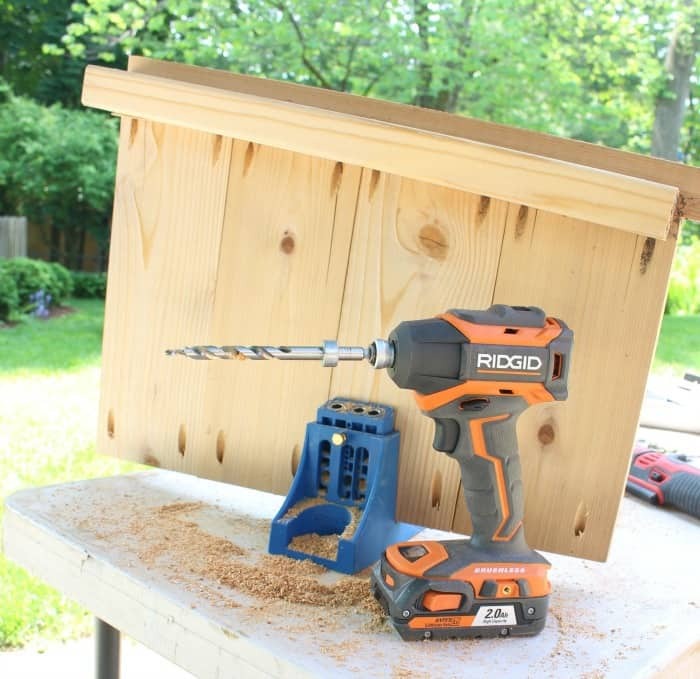 The impact driver has 3-speed settings to provide adjustable power and speed for any job. Let’s talk about comfort and handling. I was removing a bazillion screws to resize those planters and thanks to the hex-grip micro texture added user comfort it’s a very easy grab and your grip stays put while using the tool. 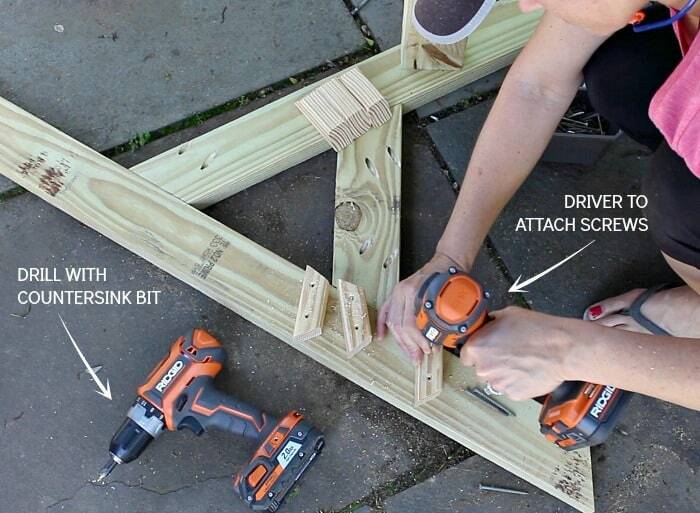 The balance is also spot on and there is an onboard holster for drill bits. 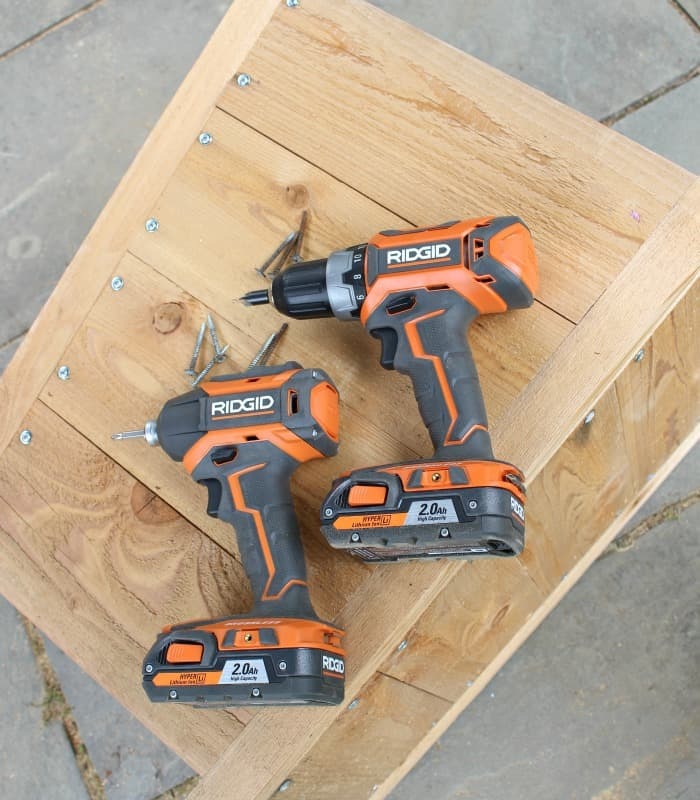 The combo kit comes with both the drill and impact driver, two 18V batteries, a charger and storage bag. Plus those batteries are interchangeable on most other Ridgid tools that operate on the 18V system. What’s all the hype about brushless? When compared to older non-brushless models the Ridgid brushless motors offer up to 50% more runtime and longer motor life. That means you’re getting more use out of your investment and that’s money well spent. Did you know with registration this combo kit is backed by the Industry’s only Lifetime Service Agreement? That’s a ton of piece of mind for brushless technology coming in at an entry level price. 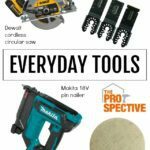 If you’re considering making a drill / driver investment this combo kit is definitely a great option. *I acknowledge that The Home Depot is partnering with me to participate in the promotional program THD Prospective. As a part of this program I am receiving compensation in the form of products and services for the purpose of promoting The Home Depot. All expressed opinions and experiences are my own words. My post complies with the Word Of Mouth Marketing Association (WOMMA) Ethics Code and applicable Trade Commission guidelines. Do you have plans for your simple trampoline ladder? If so, would you please share? 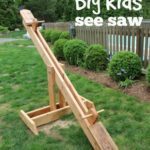 Join me for lots of DIY. 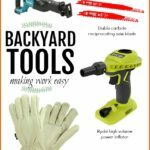 Tools to consider for the DIYer. Collection of miniature tool ornament tutorial posts.